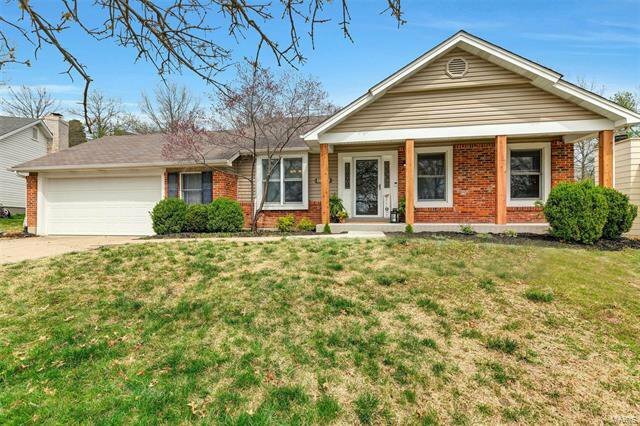 Highly desirable 4 bedroom, 3 bath Ranch located on low traffic cul- de- sac in POPULAR SEVEN OAKS SUBDIVISION! 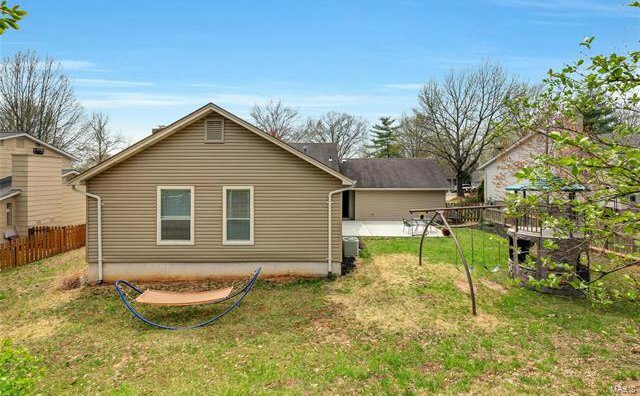 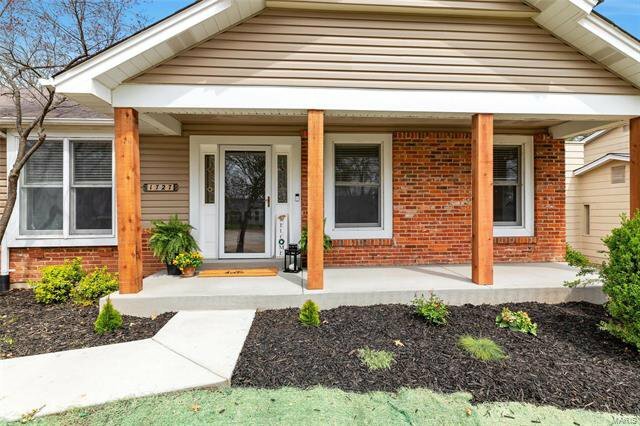 Newly-poured concrete front porch and back patio flank this one-story home. 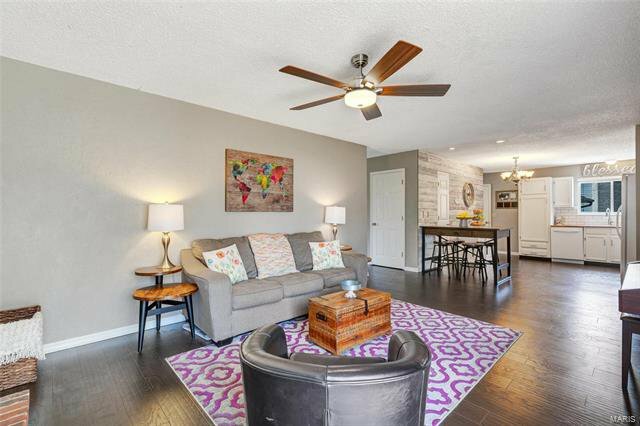 New flooring throughout main living area. 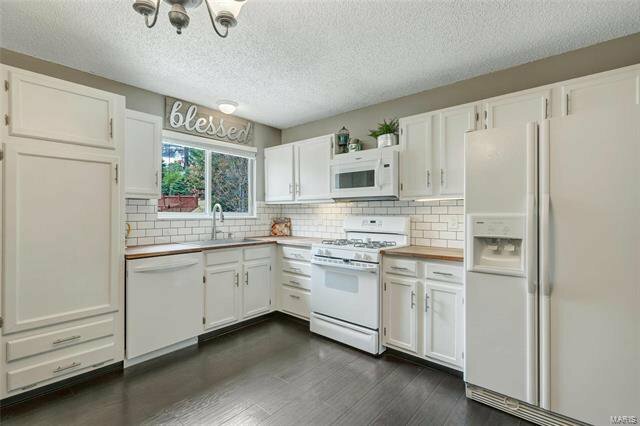 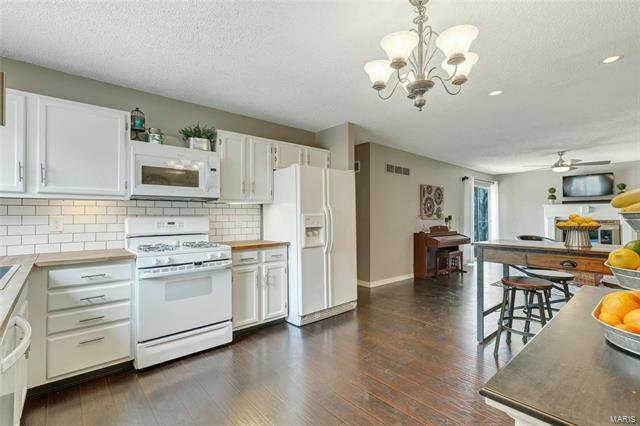 Bright kitchen opens to cozy family room with wood burning fireplace and sliding glass doors overlooking fenced backyard. 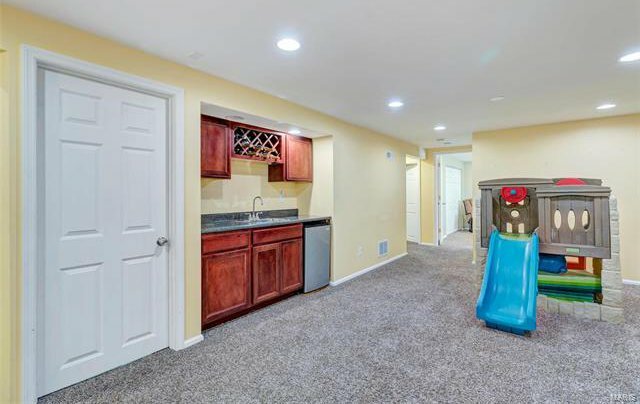 Main floor laundry / mud-room off the kitchen. 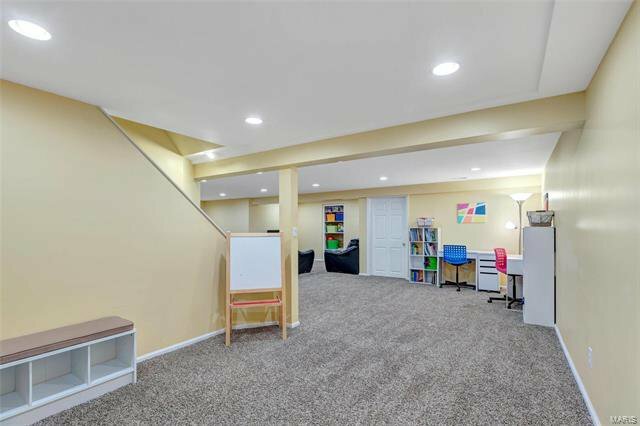 2-car attached garage w/ workshop space. 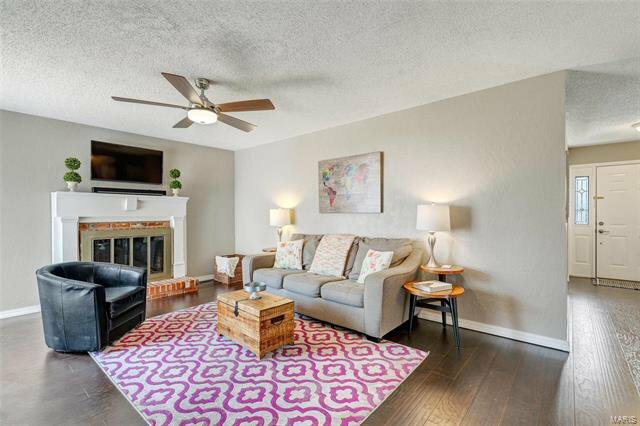 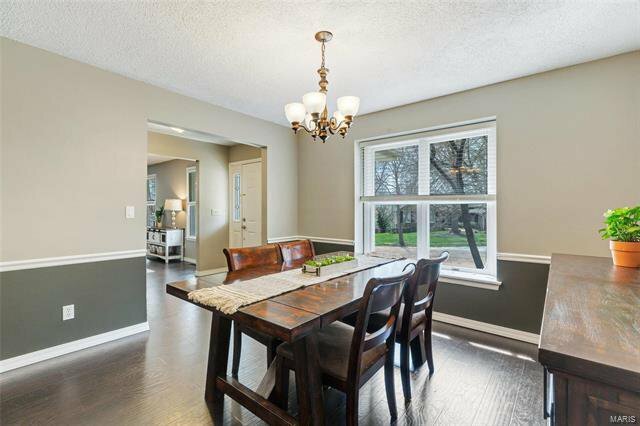 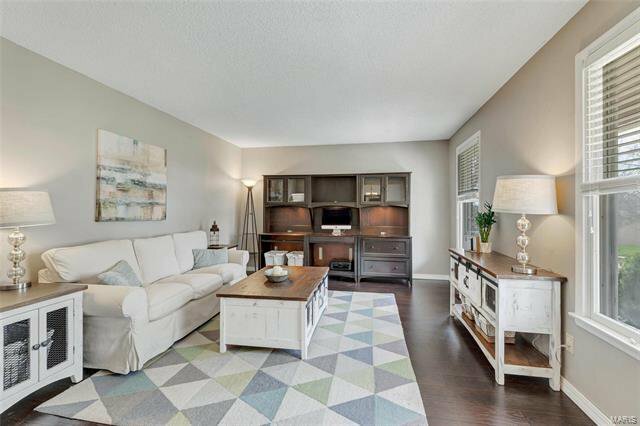 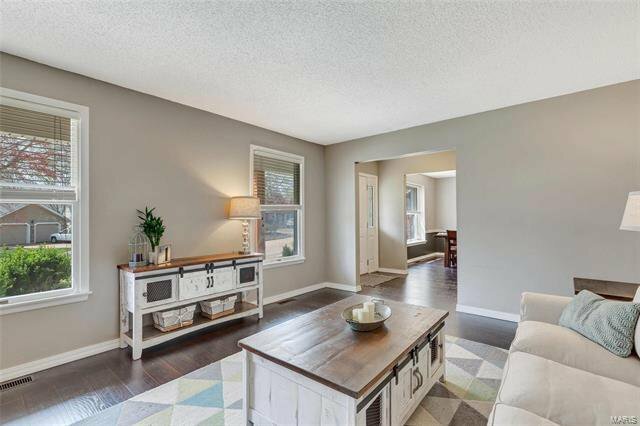 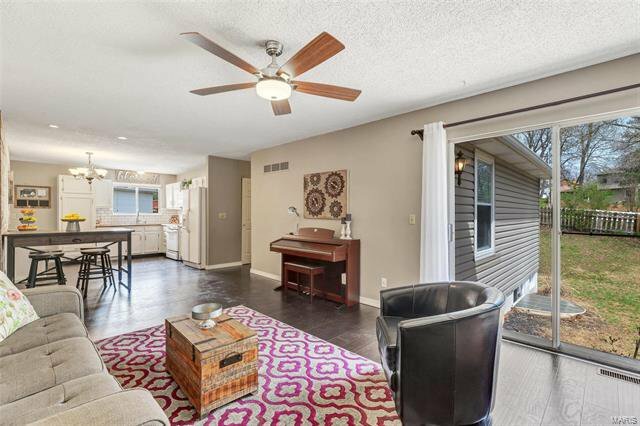 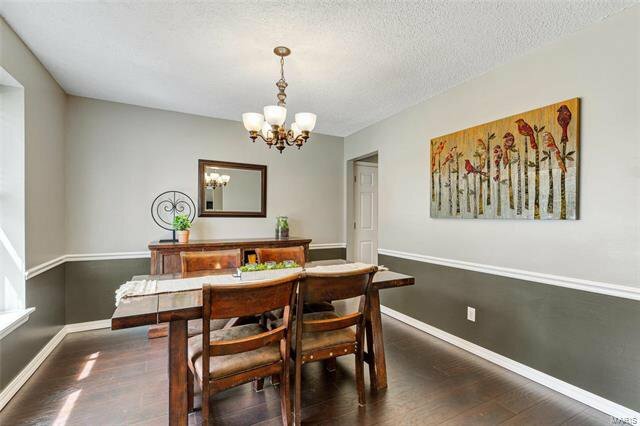 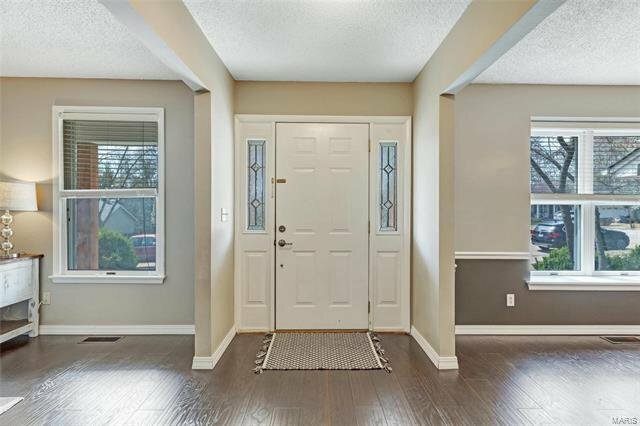 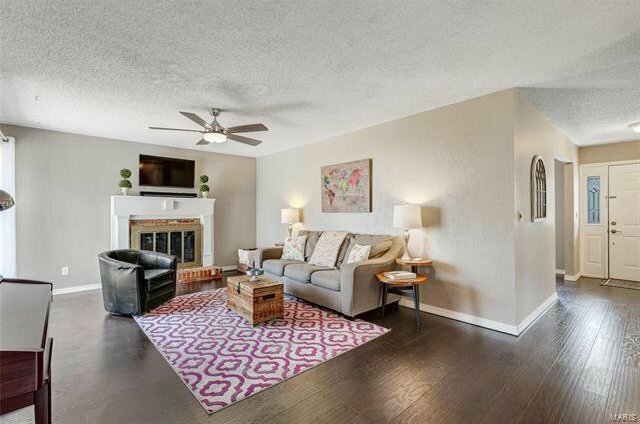 Spacious freshly painted, neutral living room and separate dining room create space for great entertaining. 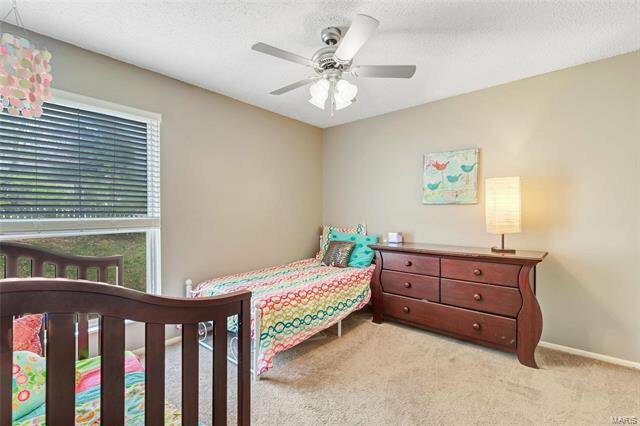 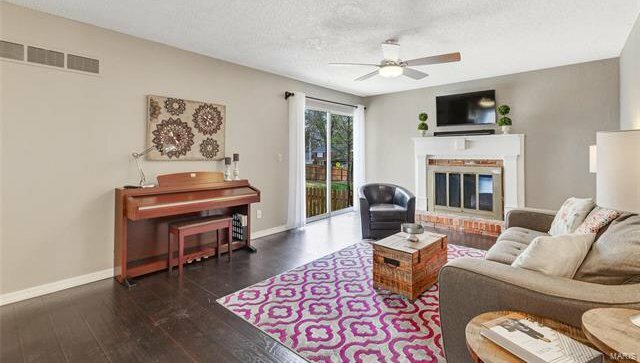 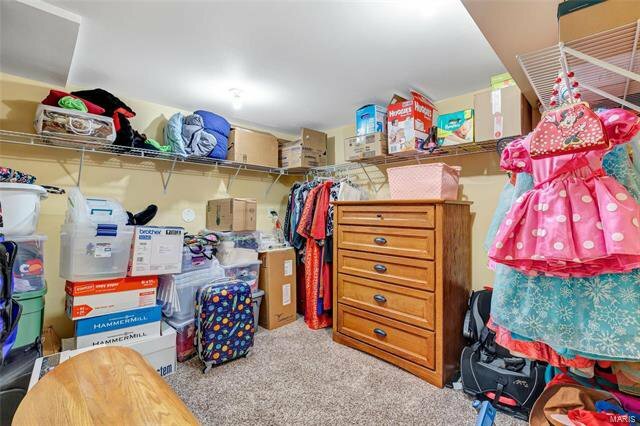 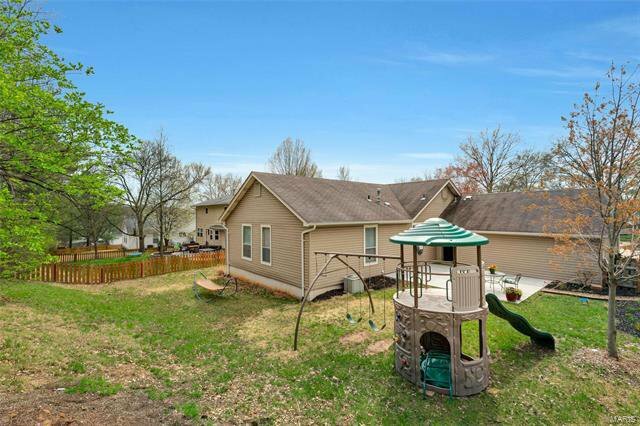 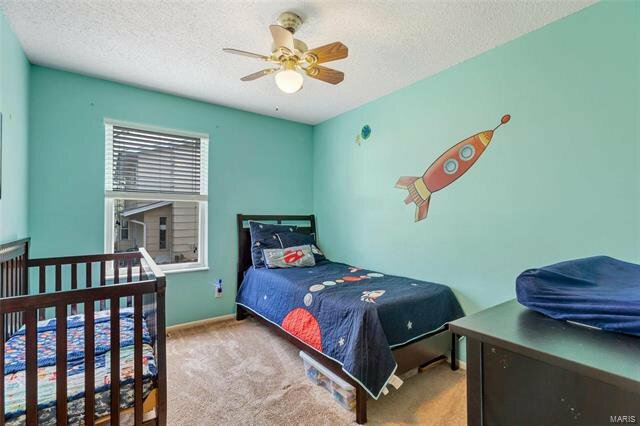 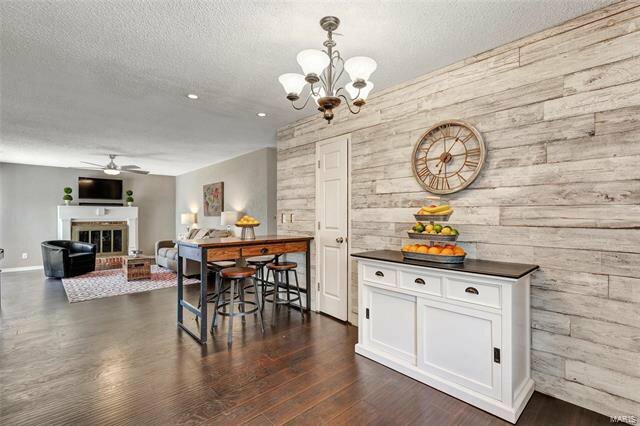 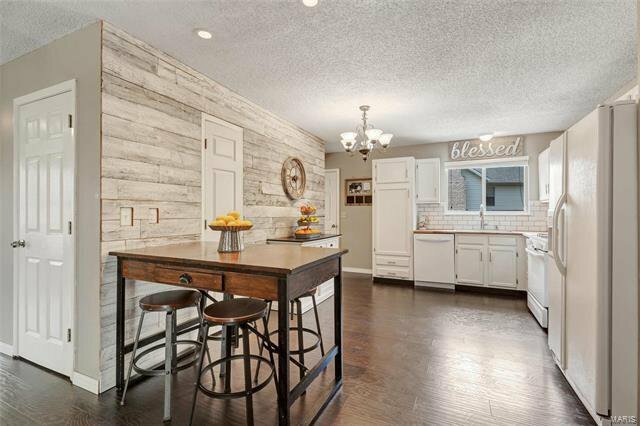 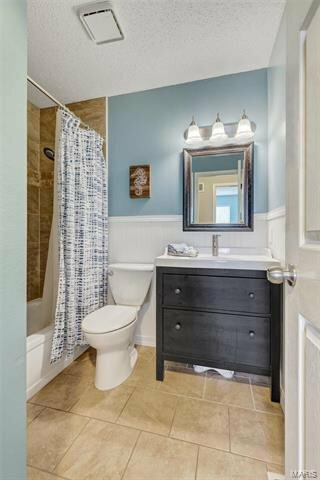 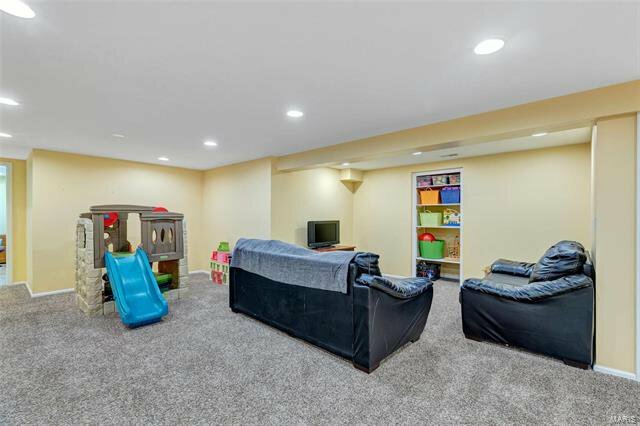 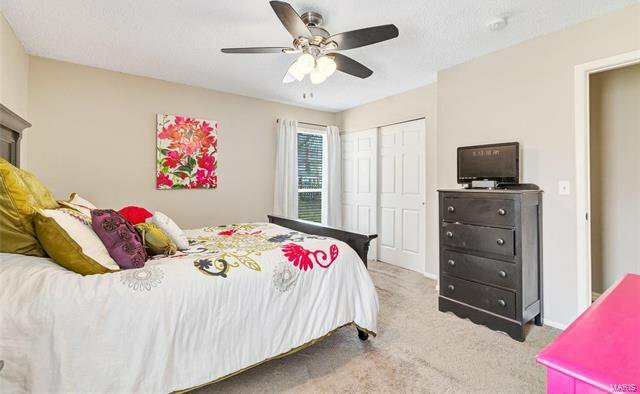 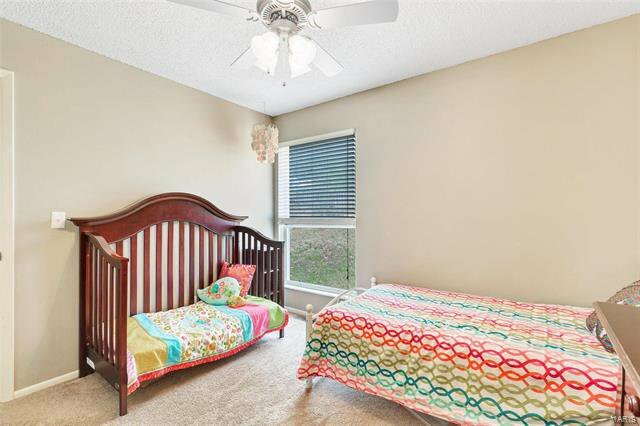 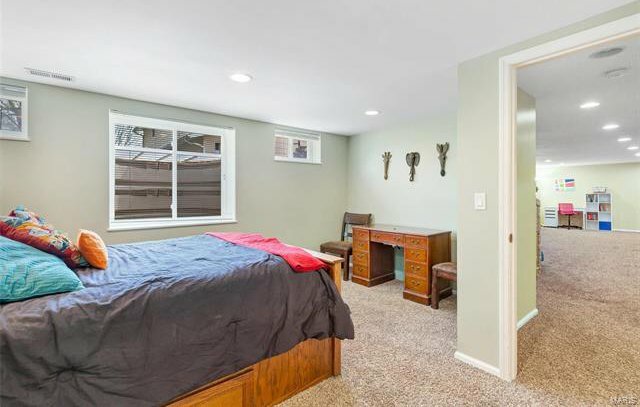 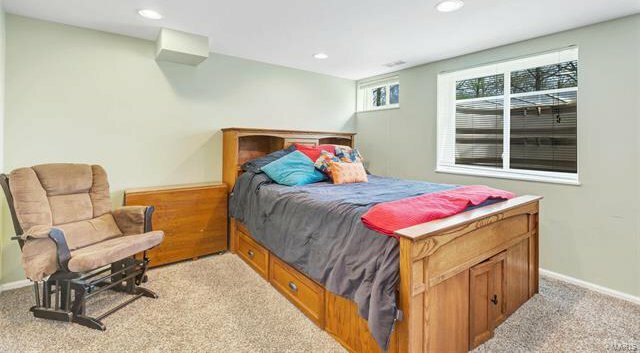 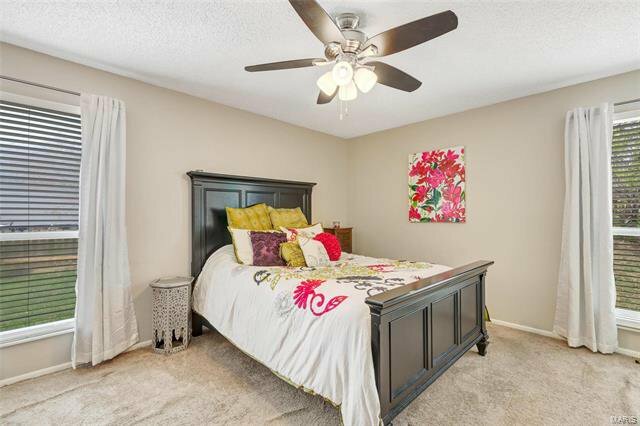 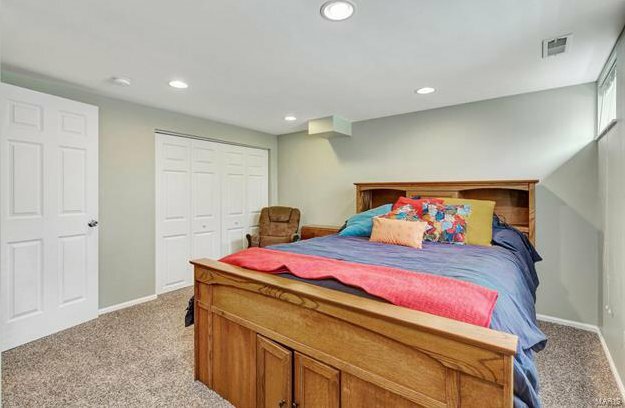 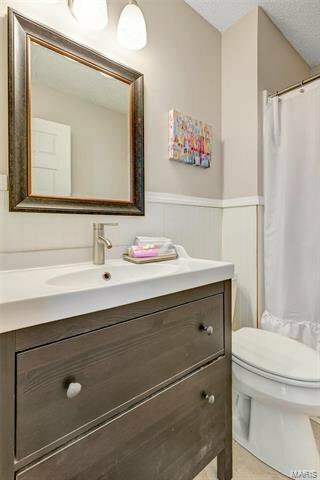 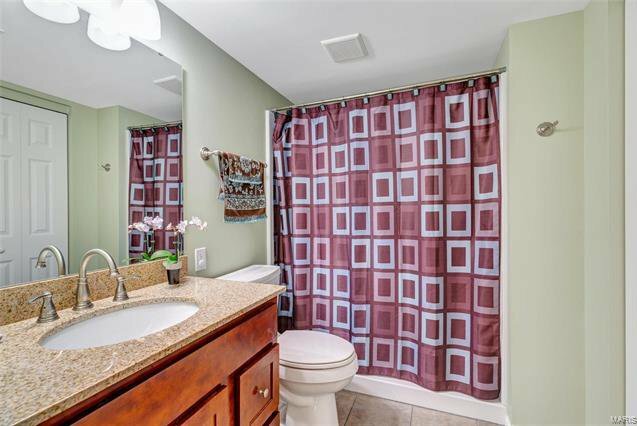 Pretty Master suite w/ updated ¾ bath & 2 additional bedrooms complete first level. 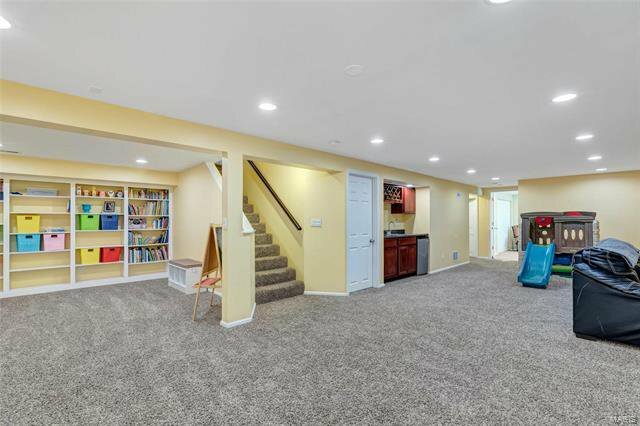 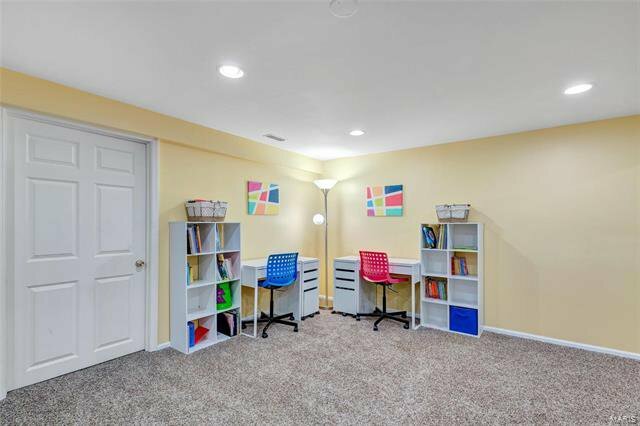 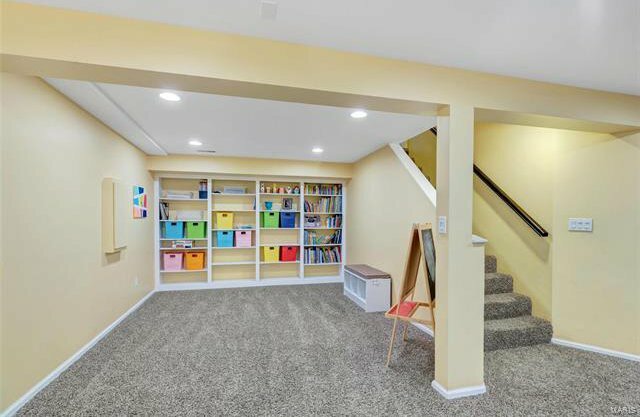 Expansive lower level encompasses family room, wet bar, computer/study area, built in book shelves, large 4th bedroom with egress window, full bath, walk in storage closet, and 2 additional storage rooms. 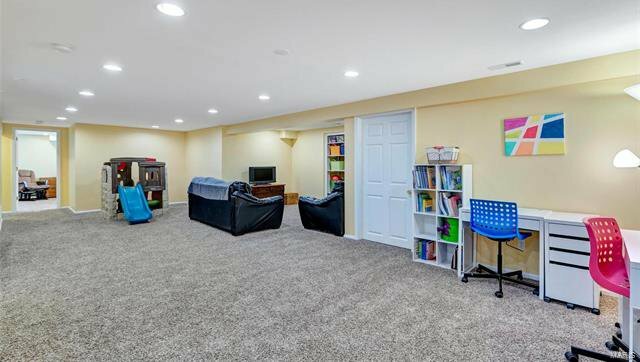 Walk to Award Winning Barrett Elementary School in Parkway School District! 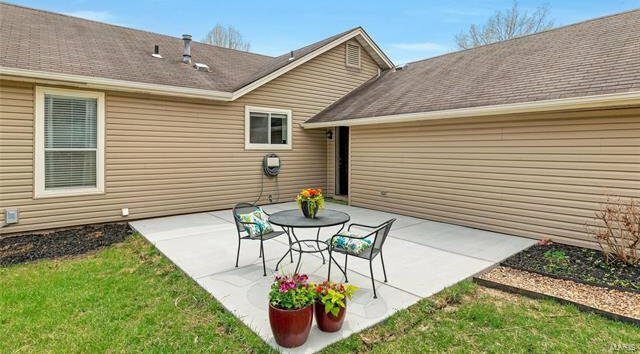 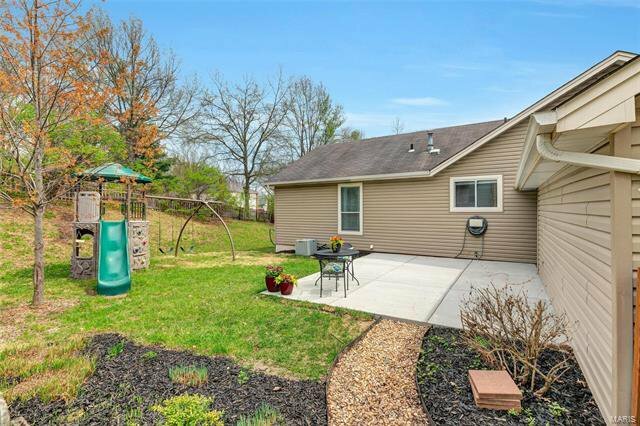 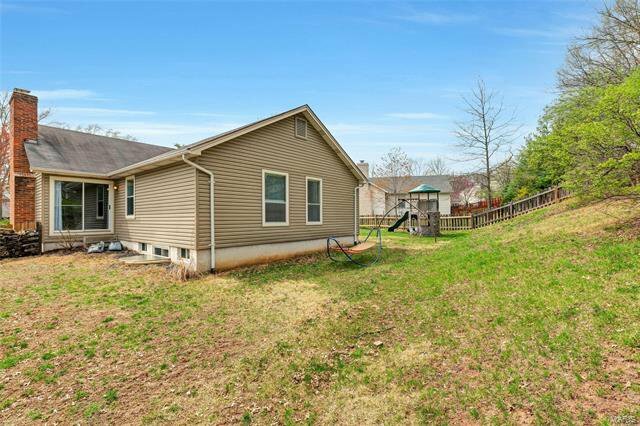 Convenient access to highway 270,44, restaurants, parks and shopping!